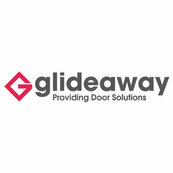 Glideaway Provided an excellent product with great service. Thanks Carl for your review, we would be glad to help out with the doors for your new build. Thank you for your feedback / Review. We are taking measures to ensure the installation manual is suitable for anyone to read and understand, work in progress. Relation: Supplied and fitted sectional door for our builder. Hung up on me mid-conversation while I was explaining a problem. I was correct in my explanation as it turned out. Sorry for the lack of respect we showed.